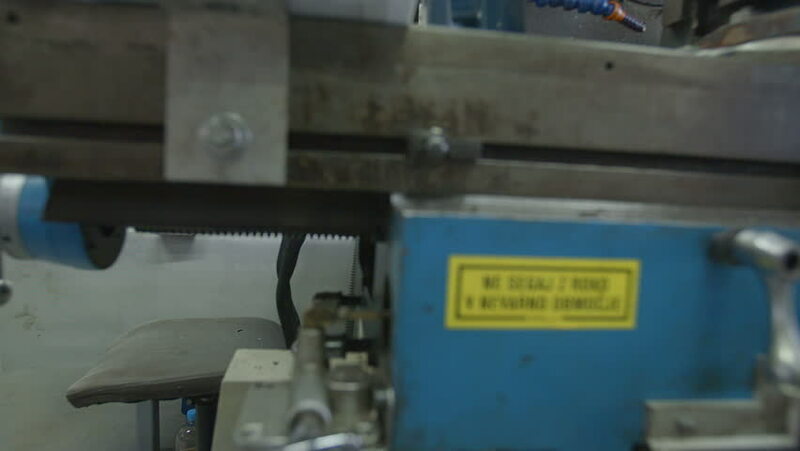 A worker in the factory is putting a long tiny metal piece under a machine in order to bend it. Wide-angle shot. hd00:06OKT 05, 2016 MOSCOW, RUSSIA: People pass through the turnstiles at entrance of Vnukovo international airport using his smart phone as pass. hd00:10Kiev, Ukraine - January 11, 2017: Cameraman is preparing to shoot stage performance with a big TV broadcast camera. Video and television broadcast process.